Solve. That is all I have ever wanted to do. I grew up breaking down math problems, figuring out strategy on the badminton court, analyzing data from reports. As time moved on, so did my idea of solving. I moved from numbers and words to people and places. In my country, there are two worlds. One housed in mansions and country clubs; one contained under flyovers and behind houses. There’s the rich, and there’s the poor. The line between the two is distinct, and must never be crossed. I had found my Riemann hypothesis: an unsolvable problem. I tinkered and fiddled with possible solutions for my problem. I studied economic welfare throughout the world. I looked at large corporations in the US and UK, and I saw a point of convergence between profit and welfare. Corporations succeed, customers are happy, and both produce a surplus to give back to those in need. There emerged a possibility to fill the gaps between the rich and the poor, to make a concerted effort to bring about sustainable social change. I wanted to be a part of this change in India. Now, it was just a matter of convincing others to do the same. Earlier this year, I started the SOLVE (Social Lab Venture) Pledge, an initiative aimed at raising corporate social responsibility in India. Modeled after the Giving Pledge, I began SOLVE to get different companies to pledge to start philanthropic initiatives — an idea born as a result of the ratification of the Companies (Corporate Social Responsibility Policy) Rules, 2014 that mandated businesses with annual revenues of more than 10bn rupees (£105m) to give away 2% of their net profit to charity. While many critique making CSR mandatory, I see it as an opportunity to make philanthropy targeted, efficient, and meaningful. But ideas aren’t enough; you need to take action. And so I did: my first collaboration was with Action Shoes, a leading shoe manufacturer in India. First, I proposed a buyback program to Action Shoes, where they set up donation bins in their stores across the National Capital Region (NCR). When a customer dropped off unwanted shoes, they received a 10% discount voucher. Then, the company refurbished the shoes by employing cobblers and craftsmen on a contractual model. 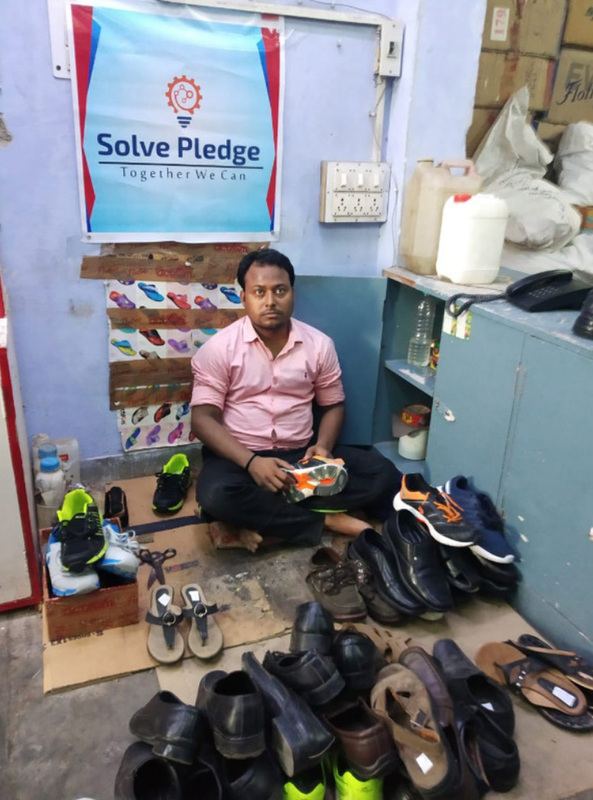 Finally, the shoes were donated to low-income families across NCR through Ekal Vidyalayas — government schools in India. With this model, Action Shoes managed to donate over 500 pairs of shoes, and therefore moved an inch toward addressing economic disparity in the nation. I still haven’t fully solved the issue I set out to solve; poverty is widespread and integrated within my nation. It takes changing mindsets and attitudes, donating time and money, and giving and receiving aid to repair a problem that has been so deeply rooted within India. While I cannot solve a problem of this scale alone, collectively our country and its people have the power to do just that (and more). Krish Agarwal is a Grade 11 student at The Doon School. He currently studies Commerce, Math, Economics, Political Science, and Psychology, and hopes to pursue an undergraduate degree in Business. 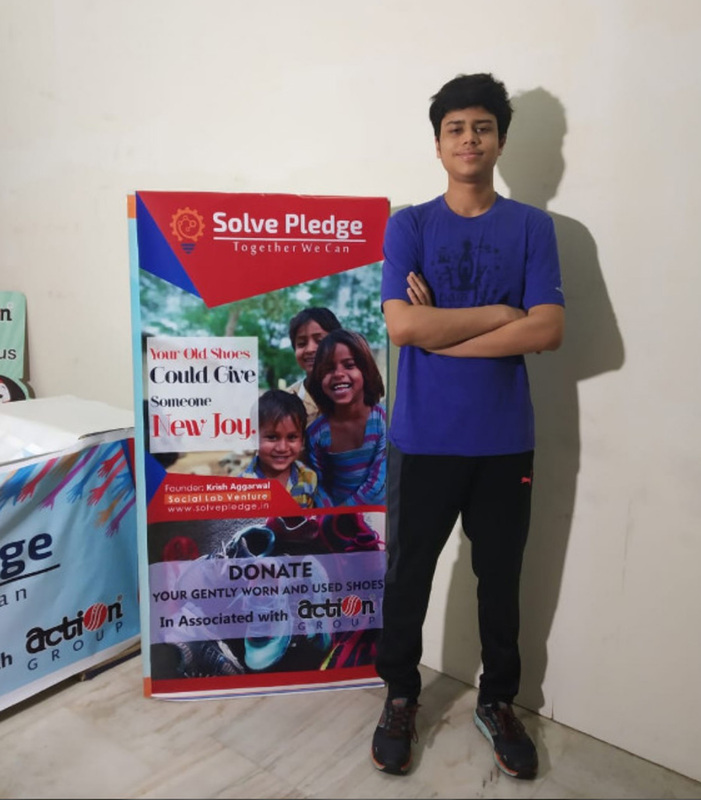 Specifically, Krish is interested in understanding and exploring sustainable social entrepreneurship and corporate responsibility in India, and hopes to create a stylish and innovative platform to further foster such activity; hhas started doing that through The Solve Project and his partnership with Action Shoes and various NGO schools across the country. Additonally, Krish is a passionate badminton player and plays at the Junior National level, where he competes across India. Changemakers is our series about students who are making a difference in the world in big ways and small.